James is a Stanford University graduate with CSCS (National Strength and Conditioning Certified Strength and Conditioning Specialist), USA Weightlifting, and CrossFit Certifcations. 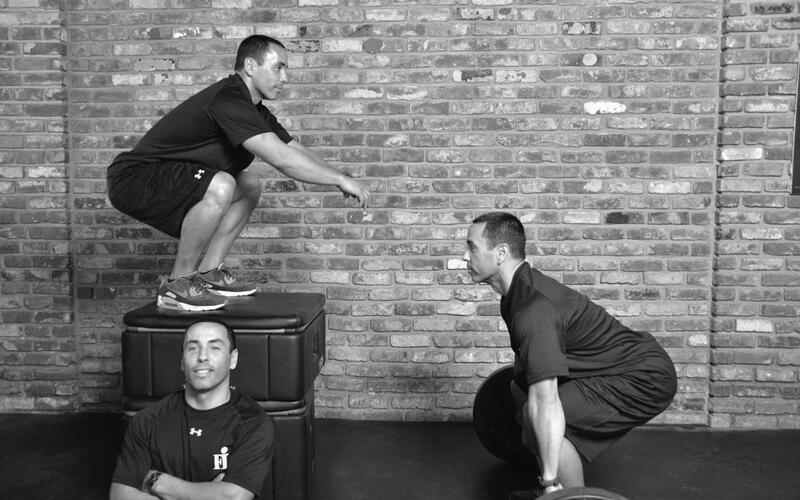 He has over 17 years of experience as a strength and conditioning coach and personal trainer. While at the Riekes Center in Menlo Park, CA, James worked with professional athletes in the NFL, NBA, and MLB under John Murray, former head strength and conditioning coach for the Golden State Warriors. James was also the Director of the Overhand Sports Rehabilitation Program (OSR) at the Riekes Center, conducting biomechanical analysis of the overhand throwing motion for baseball, football, softball, and water polo athletes. He succeeded in re-inventing throwing mechanics for post-op clients and developed and implemented progressive throwing mechanics programs for clients from the professional level to adolescents. James was also the Director of CrossFIT Los Altos for 4 years before his one year stint in Reno to open the Mayberry Athletic Center. James played football, basketball and baseball at Menlo High School and was named Bay Area Athlete of the Year his senior year. He went on to play four years of baseball at Stanford University and two years of basketball at Skyline College, earning All Conference honors for Skyline in 1997. He also had a three-year stint as the Head Varsity Football Coach at Menlo School from 2001 – 2003, resurrecting a program from a 0-9 season in 2001 to an 8-2 record and playoff appearance in 2003.